Turn your outdoor living area into an inviting retreat with comfortable and stylish patio furniture. Furnishings crafted of innovative synthetics and materials with natural resilience to weather represent a smart long-term investment. We offer complete landscaping services including grass cutting, lawn edging, planting, pruning, tree bed preparation, soil work, mulching, stone perimeters and just about anything to meet your landscaping needs. Our designer works closely with each client to develop a design plan specific to your wants and needs. We begin with a blank slate and end with a functional and beautiful outdoor space for you to enjoy. As an outdoor designer, it is our duty to “dress” your existing outdoor space. We are committed to making decorating your outdoor space easy, affordable and fun. 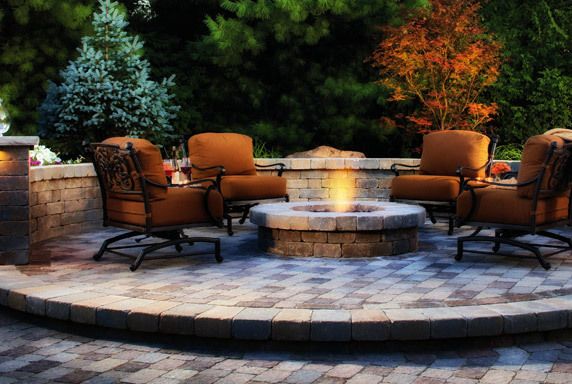 Our sole purpose is to make your outdoor space as comfortable as your indoor space. No need to stress, let our designer guide you ever step of the way. From theme and furniture selection down to flower and accessory details; our designer will incorporate your style throughout the design process. Once your outdoor furniture is in place, you'll have the framework for an elegant and inviting oasis right in your own backyard. Bring in some personality with decor elements that really accentuate your style. From fountains to lanterns, you will have the option to choose from a vast selection that is sure to represent your own personalized and unique outdoor style.